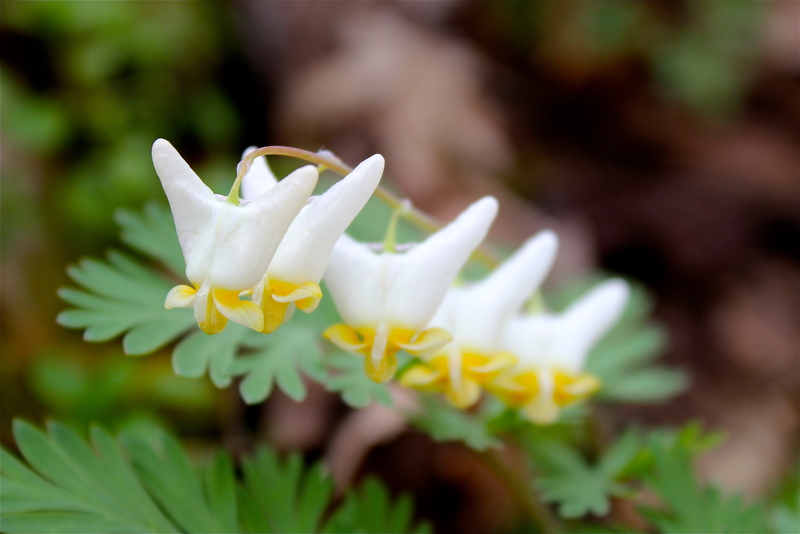 I love these little Appalachian beauties! 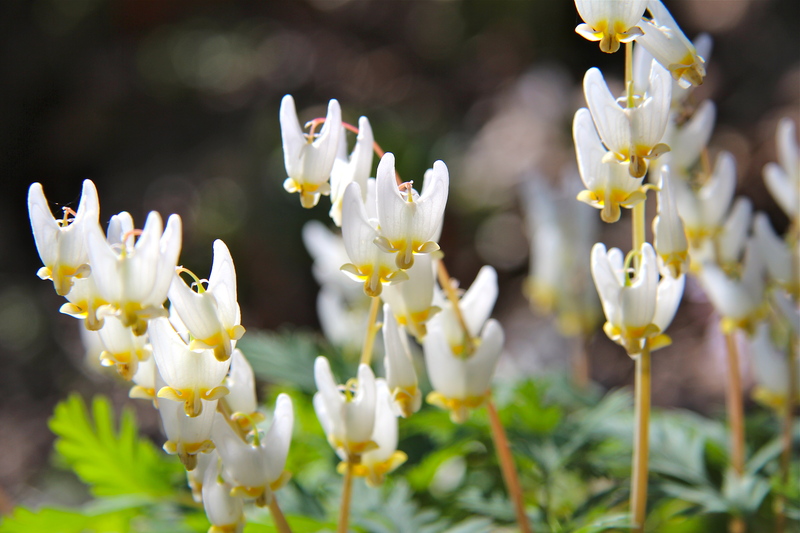 The plant gets its name from the shape of the white flower, which looks like a pair of pants, or “breeches”. The bright little pants dangle from a raceme above the plant, as if they were suspended from a clothesline! 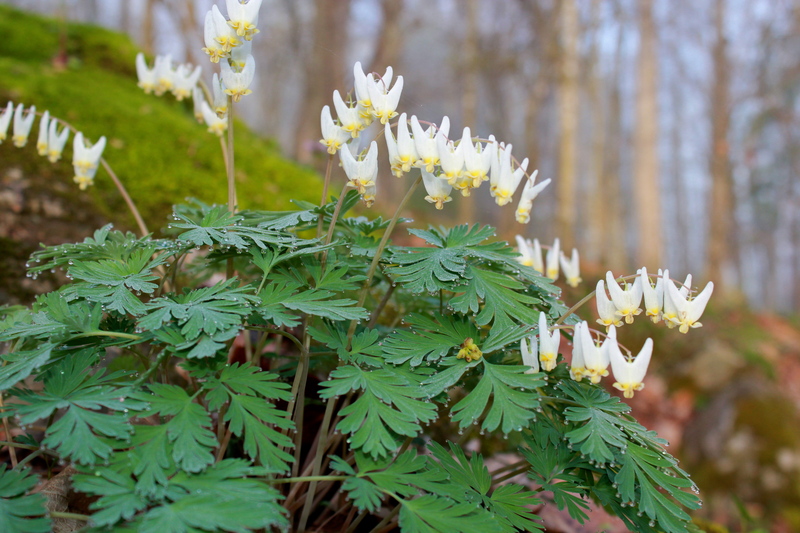 Dutchman’s Breeches have delicately cut leaves that sometimes glisten with scores of tiny dew drops in the mornings. 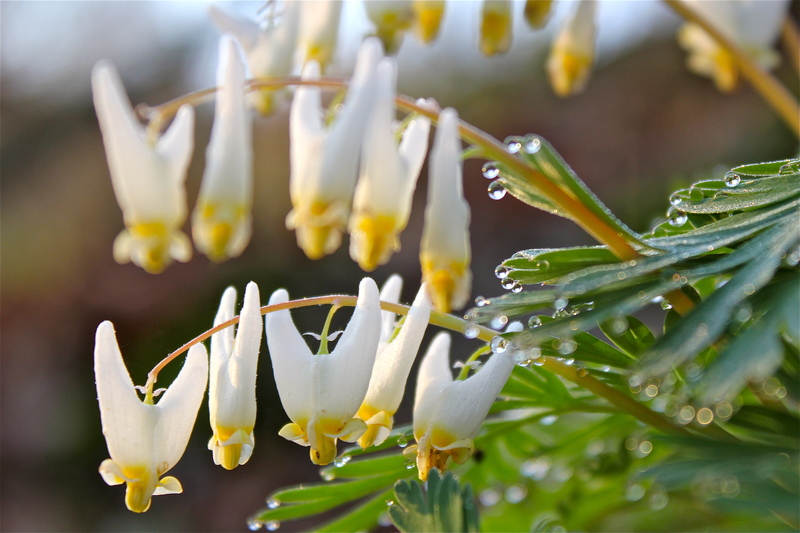 The brilliant flowers are really eye-catching, but the fern-like leaves can create their own spectacular display of shimmering light. 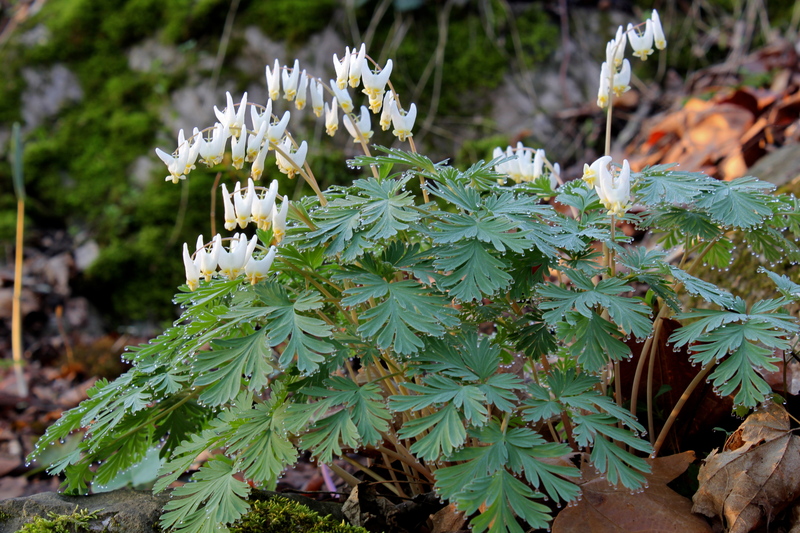 The leaves of this plant are similar to those of bleeding hearts and corydalis. They are all in the family of plants called the fumeworts, or Fumariaceae . 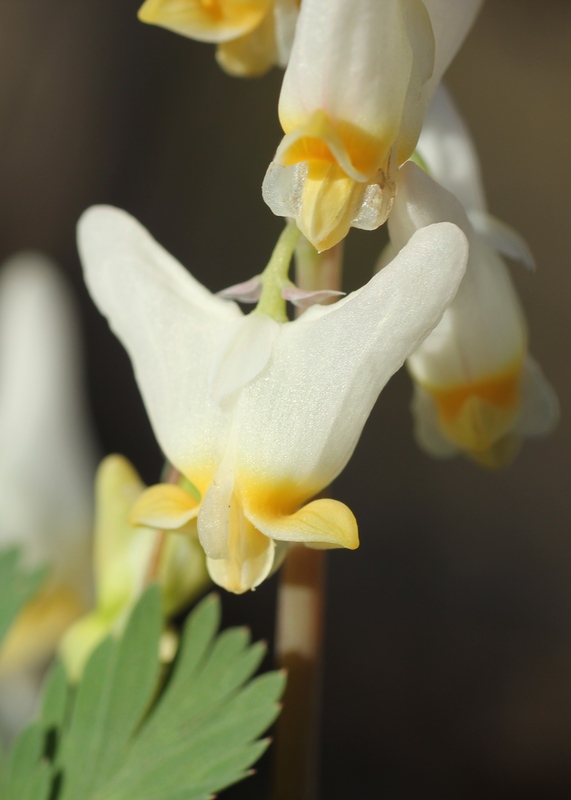 This plant contains alkaloids that are reputed to have some medicinal purposes. 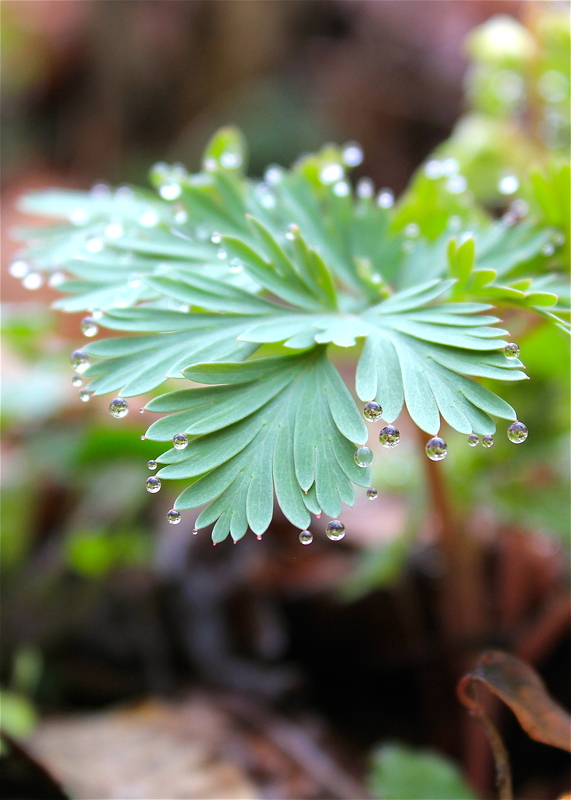 However, Dicentra cucullaria is considered toxic and the juice of the plant can cause dermatitis in some people. So look, enjoy, but don’t touch! 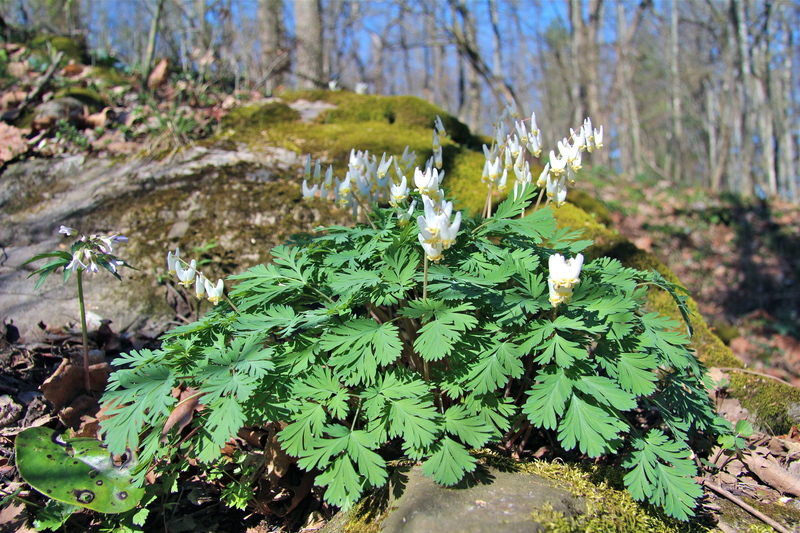 Just noticed some of these blooming today at the base of the old Manassas Gap RR abutment in the Cub Run Stream Valley Park. Bluebells in that area are just barely starting to bloom.